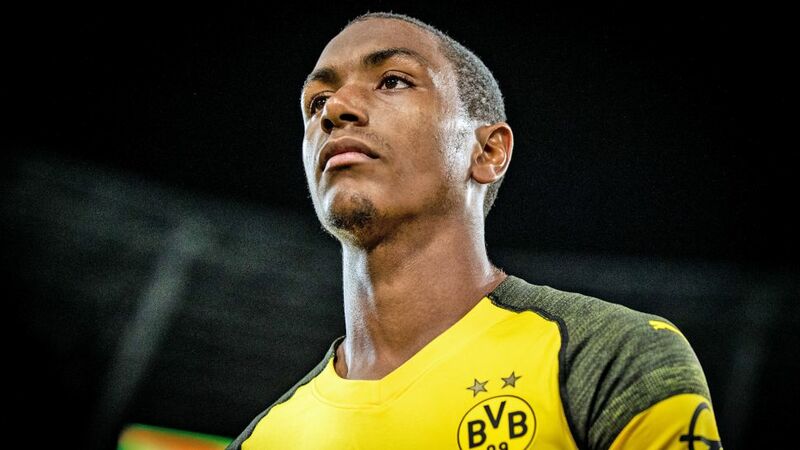 Borussia Dortmund defender Abdou Diallo won plenty of admirers in his first season in Germany, with some consistently assured displays for Mainz following a move from AS Monaco catching BVB's eyes and showing exactly why he is captain of the France U21 side. Finding a defensive balance is always tricky, especially at centre back. Being a left-footed central defender means that Diallo will always be in demand - all the more so given that he is technically strong and likes to build from the back while keeping the ball on the ground. The then 21-year-old joined from French champions Monaco and started 27 league matches in 2017/18. Playing in either a four- or three-man defence, he had a 80 per cent pass success rate over the course of the campaign. Standing at 6' 2'', Diallo has put his height and agility to good use. He scored his first goal for Mainz in only his third game for the 05ers, heading home in a 3-1 win over Bayer Leverkusen. In November, he outjumped Borussia Mönchengladbach goalkeeper Yann Sommer to help his side to a 1-1 draw away from home. In between he won another header from a corner to set up a goal for centre back partner Stefan Bell in the Matchday 8 win over Hamburg. Diallo also netted from another set piece to give Mainz the lead in the 3-1 victory over Stuttgart in December that sent his team through to the DFB Cup quarter-finals. Diallo had gained some valuable experience before joining Mainz, having spent the 2015/16 season on loan at Belgian side Zulte Waregem. Playing in an attacking line-up, he scored three goals in 33 starts to help his side reach the championship play-offs. A native of Tours in the Centre-Val de Loire region of France, he joined Monaco at the age of 15 and played five league games in their title-winning campaign of 2016/17. He also started against Leverkusen in last season’s UEFA Champions League. Diallo is captain of France’s U21 team, who won nine and drew one on their way to qualifying for EURO 2019 in Italy. Other young players to have moved to the Bundesliga after previously being with French clubs include Bayern Munich’s Kingsley Coman, Borussia Dortmund’s Dan-Axel Zagadou, RB Leipzig’s Jean-Kevin Augustin, Schalke’s Amine Harit and Mainz midfielder Jean-Philippe Gbamin. Stuttgart defender Benjamin Pavard, also only 22, has became a full France international since joining from Lille two years ago and won the World Cup in the summer. It is development that has delighted his club's sporting director Rouven Schröder. "Abdou has come on leaps and bounds in his first year and is now a key player for us," the 42-year-old stated of his defender, before insisting that he will be continuing football schooling at Mainz as part of his five-year deal.